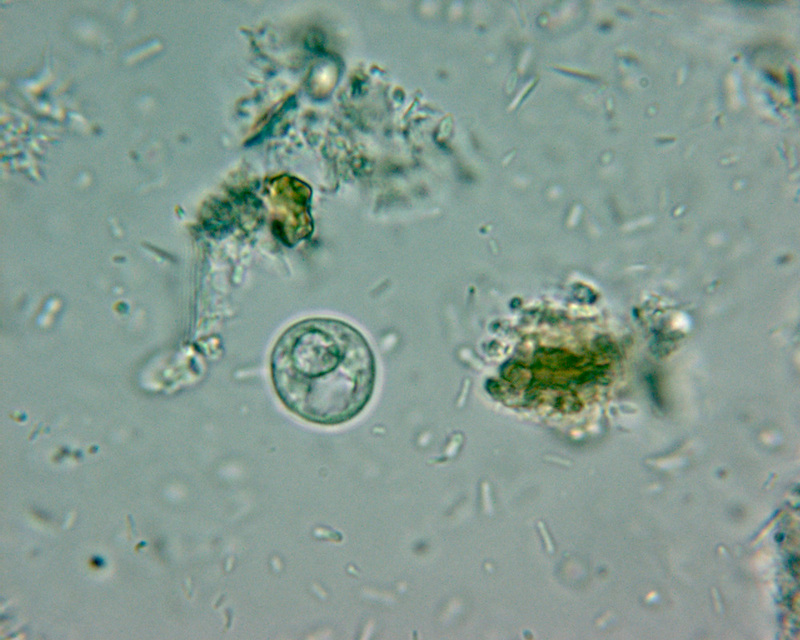 Entamoeba histolytica, a potentially pathogenic amoeba of humans, lives as trophozoites in the intestine and produces cysts which are passed in faeces and which assure faecal-oral transmission. This parasite may invade tissues and give rise to intestinal or extra-intestinal diseases (amoebic dysentery or amoebic abscesses). 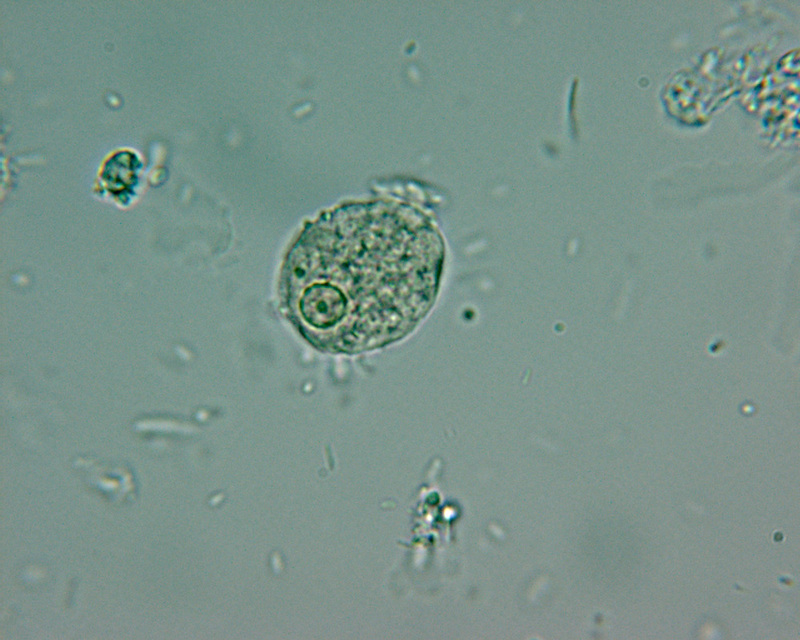 The morphological differentiation of amoebae as cysts or trophozoites needs good microscopic skills. The non-pathogenic E. dispar is morphologically identical to E. histolytica. It can only be differentiated by molecular methods.